POS software users love easy access to training | A blog about smart POS software for independent small businesses. POS software company Tower Systems is thrilled to continue to lead in proving excellent and free training opportunities for retailers using its software. This is actions speaking louder than words. We promise the training in our sales pitch and deliver year in year out. ‘The training this year is focused more on business outcomes and less on the traditional how to you see with software training. Independent and small retail business owners are loving the new outcome-focussed training. We are loving sharing it with our customers. Being able to analyse business performance from a range of views is vital to independent retailers. While most POS software products permit analysis by product department and supplier, too often they miss the opportunity for analysis by category. 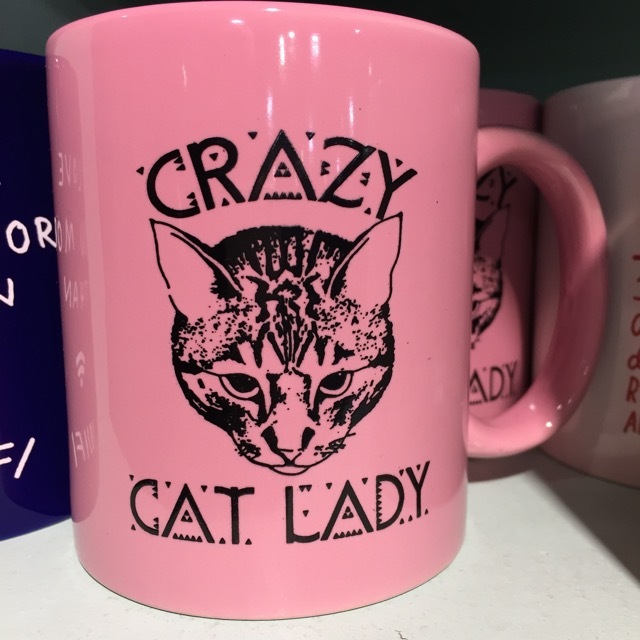 In gift shops this is particularly useful where you may not replace a range with more stock from the range but, instead, find something else appealing to that shopper. This is where category level performance reporting is most useful. Tracking sales of products that appeal to a cohort of shoppers provides a valuable of business performance that can guide better restocking decisions. It is especially useful at trade show time when looking for new products but products which appeal to those who have purchase other products from you. The Tower Systems POS software provides multiple views of sales data to enable this type of analysis in small and independent retail businesses. 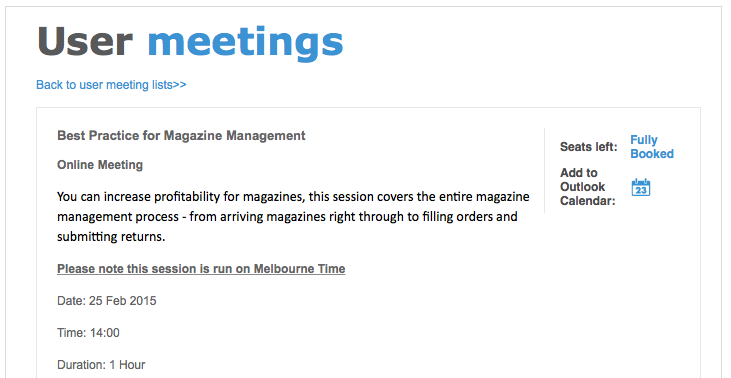 The latest free online training from Tower Systems on newsagency magazine management for newsagents using the Tower newsagency software is fully booked. Tower Systems is scheduling more instances of this workshop to satisfy demand from newsagents who love this and other free software training from the company. Best practice management management training will help newsagents save time on managing magazines. It will also help improve business outcomes for them. Tower Systems is the only newsagency software company running online business management training line this with consistency throughout the year. How employees steal from retail businesses is a free training workshop from the POS software experts Tower Systems. Delivered by our COO, this training is vital for retail business owners. It will draw on expert advice from one who helps police, prosecutors and insurance companies deal with employee theft in retail businesses. With just a few places left, this training will fill up for sure. Tower Systems leads its marketplaces with live online training opportunities – helping retailers to learn more about their software and how to save their businesses time and money. Newsagency software experts from newsagency software company Tower Systems have been sharing insights from their recent study tour of the US which took in conferences in Las Vegas, Atlanta and New York. The insights include business services areas unique to the sale and management of print media products. There are many US experiences which play out into the Australia marketplace needs. In Australia, Tower serves more than 1,850 newsagencies using its software, making it the market leader by 300%. Tower takes this position seriously and invests in overseas study and overseas supplier engagement to be ready to serve as trends evolve and new opportunities develop. The two-week trip unlocked some terrific opportunities for 2015 which the company has already commenced actioning. For commercial reasons we will not share any comprehensive outcomes here as these are best deployed to our customers for their and our commercial advantage. While our Australian based offices are closed for the national public holiday today, customer service is live and available through our after hours and emergency numbers. Rostering is a vitally important business activity in indecent retail businesses. Get it right and you save money. Get it wrong and your bottom-line suffers. Retailers using the Point of Sale software from Tower Systems can roster employees based on their contribution to the business. Using the tools in the software can result in better rosters, rosters which deliver a more valuable contribution to the business. This is just one way POS software which offers roster facilities can genuinely benefit a business – save time and help driver better earnings. It is another way good POS software pays for itself. Tower Systems helps retailers drive better outcomes through rostering and other facilities delivered in its software for a range of specialist independent retail channels. 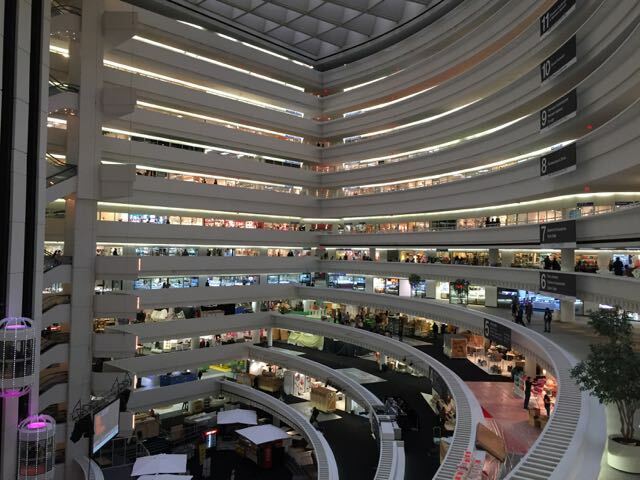 Gift shops using the Tower Systems gift shop software will benefit from the time experts from our software company spent at the Atlanta Gift Fair at the large AmericaSmart facility., This largest gift Fair in the US is an extraordinary experience for gift retailers. Our takeaways include new relationships with the parent businesses of several Australian gift shops suppliers. This will helps us better serve our gift shop software customers as we help them more effectively and valuably connect with their suppliers. There is nothing like getting to the source of a relationship to understand it and leverage it for all stakeholders. This gift fair in Atlanta also helped us spot trends that we can sever better through our software – before they hit Australian shores. As the only Australian POS software company represented at Atlanta, Tower is positioned to help gift retailers in a more effective and exclusive way in 2015. We are about to hire a new POS software installation and training person to work out of Brisbane. Key to the role is a love for retail, small business retail in particular. Excellent training and guidance will be provided to help them be of value immediately. With many jeweller suppliers at the Atlanta Gift fair ten days ago, the delegation from jeweller POS software company Tower Systems was able to learn more about how in the US jewellers use software to more deeply and effectively engage with customers. 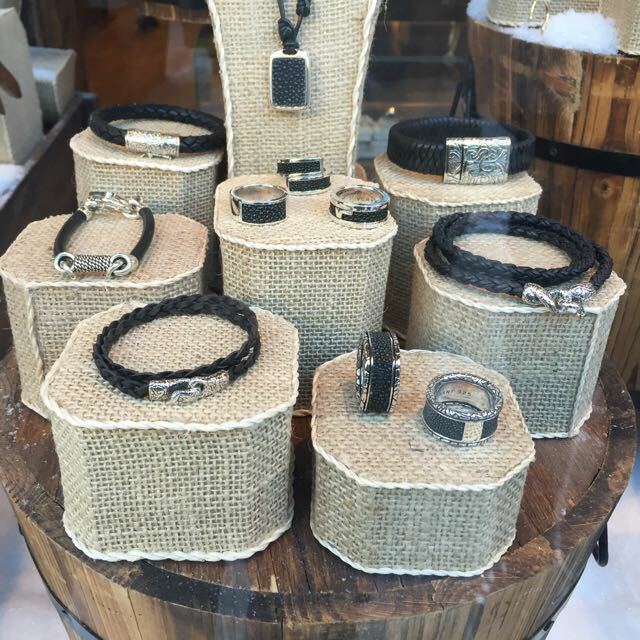 While some insights were not new, others were and they will be reflected in how we help our jeweller software users this year to enhance their software use experience. Getting out of the development environment and talking with jewellery designed and manufacturers in the retail-savvy US market has provided Tower Systems with exclusive insights that are already helping the company in its work helping jewellers in 2015. The link we launched last year connecting our smart POS software with leading accounting solution Xero is helping us grow our business as more retailers seek a whole of business solution. Our training resources help retailers understand the link and the benefits. here’s one of the videos we have produced in house. We use Xero ourselves in our own retail businesses. Like all good software, there are gems within the Tower Systems POS software that are not widely known or that have been forgotten. The company yesterday hosted a full house online workshop where it outlined the hidden gems in the POS software. Customers loved it. Many let us know they learnt of functions, options and facilities they did lot know exist. Tower Systems hosts these free online training workshops to help retailers learn more about their software and through this to leverage more value from their IT investment. As part of a tour of pet shops and pet shop suppliers during a retail study tour of the US over the last two weeks, the team from Pet Shop Software company Tower Systems made new connections and tapped into market leading insights in ways that will help the company better serve pet retailers in Australia and New Zealand. The insights are being shared with pet retailers in Australia and New Zealand to help them grow their local businesses. Talking with retailers in their shops and suppliers at two different trade shows has provided Tower Systems with market leadership insights that help us better advise pet retailers not only on retail trends but also on new ways our software can serve and help them unlock more revenue for their businesses. 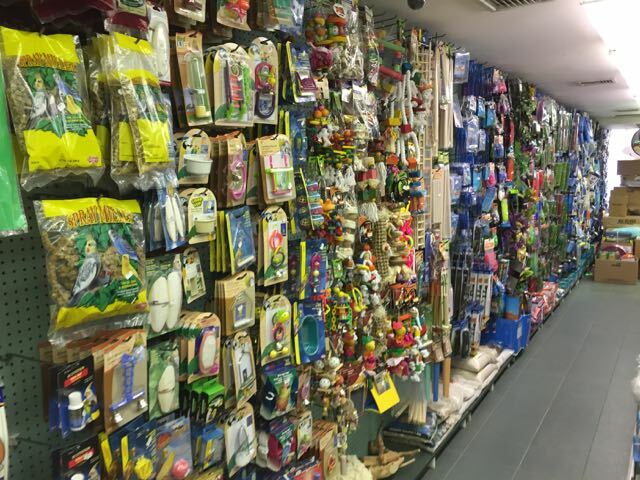 Beyond the pet shop software, Tower Systems helps pet retailers to build more valuable and successful businesses by sharing business building insights. Tower Systems representatives met with PayPal representative sin New York last week at the National Retail Federation annual conference to talk about retail and, in particular, insights gained by PayPal through their US based innovation with POS software companies which is only now starting to reach Australian shores. 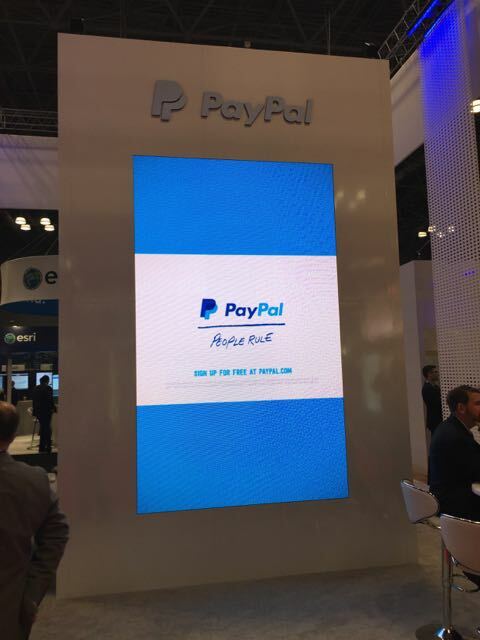 The connection with the folks at PayPal in the US is another benefit for Tower from sending a delegation to the NRF conference and tapping into the latest trends with our development and deployment partners. Learning from US bike retailers and how they engage with bike fans is one of the takeaways from Two weeks in the US for two Tower Systems executives. The trip culminated in almost a week in New York including attending the National retail Federation annual conference. 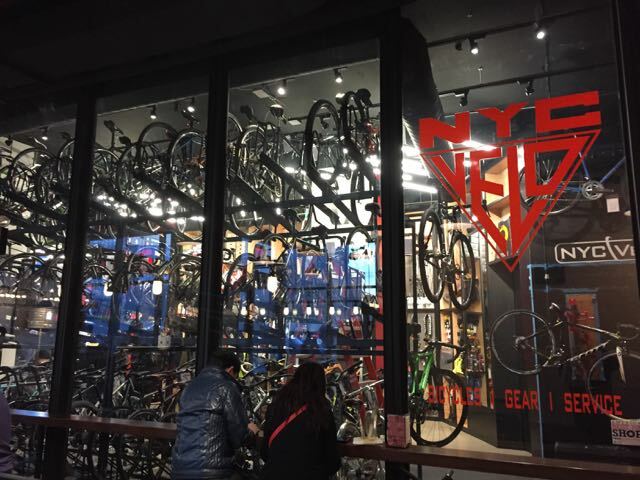 While in New York at the conference and on the streets meeting with bike retailers, insights were shared that will help position tower Systems to further improve on its already popular and widely-used bike retail management software. Using the Tower Bike Shop Software, retailers are able to manage warranties, track serial numbers, manage repairs and provide a whole of customer life experience and thereby drive (ride) more value for the business. Our intuitive bike shop software is world class as we have seen in this most recent overseas marketplace study. 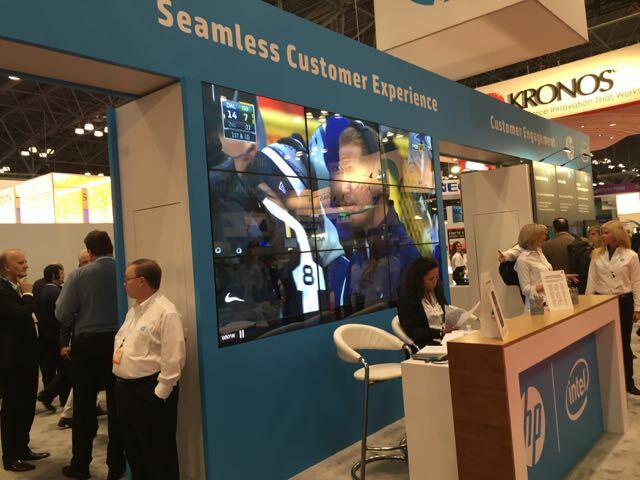 Thanks to participation at the National Retail Federation annual conference in New York last week, the Tower Systems and HP POS hardware relationship is stronger than ever. During the conference our representatives were briefed by HP on new developments that will enhance the POS software / POS hardware marriage and through this provide a more meaningful and valuable retail employee and business owner experience. The real winner, however, will be the shopper. Tapping into insights through partnerships with companies like HP are one way tower Systems is able to innovate in valuable ways for its vertical market retailers in the pet shop, garden centre, bike shop, newsagency, gift shop, firearms retailer and other spaces in which we specialise. Knowing insights before they reach Australia positions us to achieve more for our customers through our software. Speed is vital at the retail sales counter. Once they have made their product selections, shoppers want fast and accurate service. This is best achieved by using as few keystrokes as possible. Tower Systems specialises in helping retailers cut keystrokes at the counter. Every keystroke you cut is a potential mistake eliminated. This is good news for retailers and shoppers. Following our personal training and engaging with our advice certainly helps retailers streamline the counter, serve more customers in less time and maintain accurate quality data. This helps feed more accurate business decisions offering wins all round. Good POS software helps retailers cut keystrokes. Excellent training for good software goes further – making it easier for retailers to tap into these terrific benefits. We urge retailers to take note of keystrokes used in transacting sales and to work hard with their software provider on cutting keystrokes. 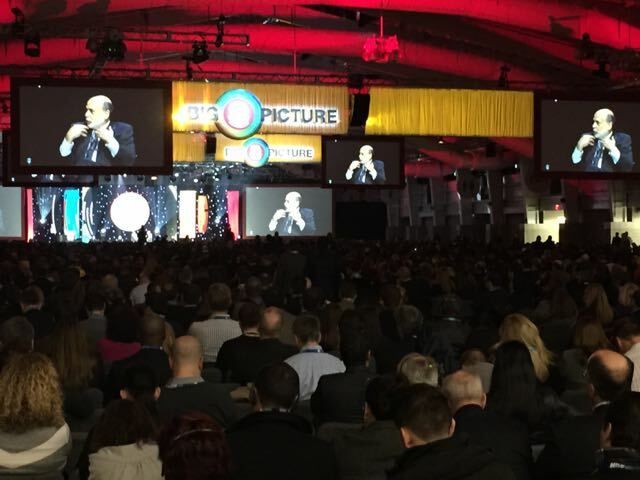 Australian POS software company Tower Systems was well represented at the NRF annual concern in New York this past week with active attendance at conference sessions and plenty of time and connections on the floors of the Expo. There is no doubt that active networking is a real benefit of getting away from the office and exploring how others do things today and talking with them what we are planning for the future. Discussions were very much two-way. From hearing former head of the Federal Reserve, Ben Bernanke, speak through to hearing how independent retailers use social media to playing with retail product of the future prototypes, our representatives soaked u a tremendous experience and made any new connections which will serve the company well into 2015 and beyond. Sharing experiences with colleague specialist software companies in another market has been valuable for Tower Systems as it has lead retailers in a number of vertical market channels in Australia. This latest trip to the US continues these experiences. Cloud based services released by POS software company Tower systems are helping small business retailers to save time in running their businesses. One such service loved by customers using it is the cloud based backup service – which backs up data on the go through the trading day, thereby eliminating the need for an end of shift backup. One retail business using the service recently needed to restore from a backup and was thrilled that this could be done easily and efficiently compared to having to access a USB stick or disk. The most important aspect of the cloud based service is that it takes away the need for human intervention to get the backup done. This saves time and heartache in retail. The Tower Systems Training Academy offers retail business owners and employes the ability to learn our POS software at their own pace and in their own location. Business owners and employees using the Tower software can learn how to use the software when and where they want without having to pay extra for the privilege. This wonderful online training resource is another Tower AdvantageTM. Tower Systems has the best installation and training people! Look at how one of our retail partners is using their Pet Shop Software to offer receipts that look stunning. This receipt was created by a member of our installation and training team while onsite installing our software. The receipt has all the detail you could want for an accurate record of the sale. 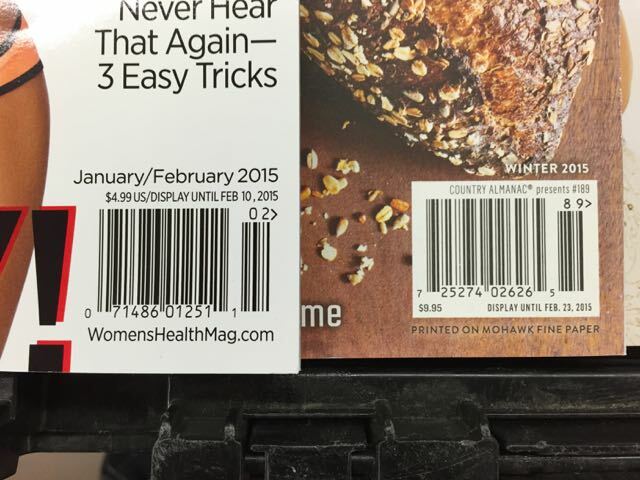 Plus it has a unique barcode for easily finding the sale in the future. And then there is the ad for the dog wash service – attracting shoppers back into the business. The receipt is capped with the business logo. Flexibility in receipt design is a hallmark of the Tower Systems POS software – all our retail partners have access to this so they can make their own beautiful receipts. Here’s a candid look at a day in the life of our POS software company. The video was shot just before Christmas. It shows real people working passionately for our small business customers. We’re a diverse, engaged and professional bunch of people who love small business retail and the technology we make to serve businesses in this sector. As retail businesses adopt to opportunities in 2015, Tower Systems is well placed to take the POS software from behind the counter thanks to support for mobile devices including the Microsoft Surface. While we have offered mobile access to our POS software for years, the Surface is exciting to retailers as they look for opportunities for more engaged competition in 2015. 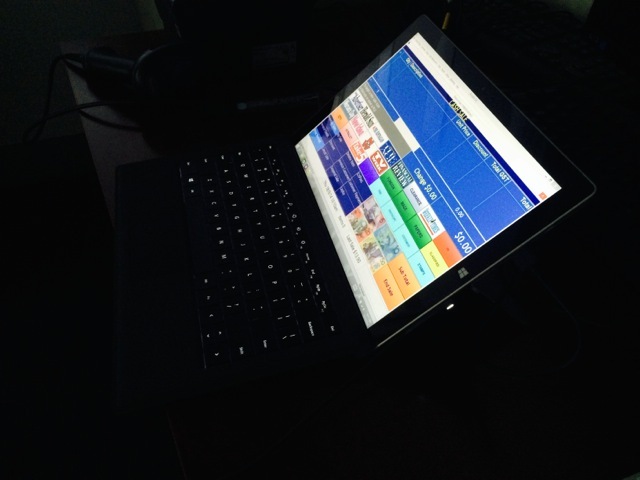 The Surface is versatile and fast in running our software. Having reference sites helps as we can show the software running in a live situation. Tower Systems has helped many retailers get into offering Lay-By services when installing our Point of Sale software. Over many years we have developed extensive experience in Lay-Bys and through this we have refined suggestions on how to make the most of the opportunity. Here is a summary of more extensive Lay-By advice we provide to retailers, based on our years of experience. WHAT TO LAY-BY. Set a minimum item and or purchase value. We’d suggest $80.00 in a small retail business. 20% of the total GST inclusive purchase price. Only Lay-by to people 18 and over. Lay-bys should run for between eight and twelve weeks. You could run for longer pre Christmas to get early sales. Do not allow someone to take home a single item from a group of items on Lay-by together in one purchase. It’s all or nothing. Have a policy you are comfortable with. We suggest a 20% cancellation fee applies. Note that you could equally choose to have no cancellation given that Lay-by product may not be able to easily re-sold. Decide what you would consider a breach. This has to be something you stand by. We suggest two missed payments without reasonable excuse or rectification. On breach, cancel and charge the cancellation fee. We suggest a no-exchange policy. When a customer Lay-bys, print two dockets – one for them to take immediately and one to be placed with the goods. Have your customer sign both copies, accepting your terms and conditions. Set aside a clean and secure storage location for Lay-bys in your business where locations are coded for easy finding. Place Lay-by goods into a single clear plastic bag per transaction for clean and safekeeping. Staple to this a copy of the Lay-by docket. Let your customers see you do this so there is no doubt when it comes time to collect the products. Have one person responsible for Lay-bys to ensure product care, track payments and contact customers. We are grateful to our retail partners who have worked with us on developing this experience and advice. Their help has enabled us to provide this help. Outside of our help desk and separated from our POS software installation team, we have a unique role that exists to help small business retailers settle our software into their business. We created this role some years back to help people nervous about installing a computer into their retail business to learn the system at their own pace and through this to build a confidence in and love for the software. Offering a service like this helps Tower Systems provide a more enjoyable customer service experience. We are able to settle new users in away from the help desk, through a service where there is little time pressure. This is another Tower Systems AdvantageTM of which we are very proud.